This is one big doughnut – or one big doughnut cake! Whichever you may wish to call it. I found that although it is tasty and good, it is not the wheat doughnuts I am used to. But being so simple to make, I thought I would upload this recipe as it would be very easy for kids to make themselves with their parent’s help. And it is baked as opposed to being fried. Less mess too! To make this into a mega doughnut, I made two separate ‘doughnuts’ so I had top and bottom for one large doughnut and sandwiched them with a big helping of Nutella, covered it with chocolate and sprinkles! The amount below is for one top or one bottom for a doughnut ring. This recipe uses solely coconut flour and since it has no gluten, plenty of eggs must be used to make up for that as Coconut Flour is very absorbent. This recipe was adapted from Sherri Venner’s Recipe. Preheat oven to 150C. In a large bowl, mix the dry ingredients, the coconut flour, granulated white sugar, baking soda and salt together until combined. Add the eggs and the butter and/or coconut oil (or butter). Mix everything well. Pour the batter in a large well greased silicon round mold, place in the oven and bake till golden. To test, insert a skewer and it it comes out clean it is ready. I did not have two silicone round molds so I had to repeat this process. When both are baked and cooled, trim the top, if required . Spread nutella on top of one of the doughnuts and place the other on top. You can now either cover it with icing. sprinkle it with cinnamon sugar or cover it with chocolate like I did by melting some chocolate in bursts in the microwave, then just poured it on top, and sprinkled it with pink dragees. 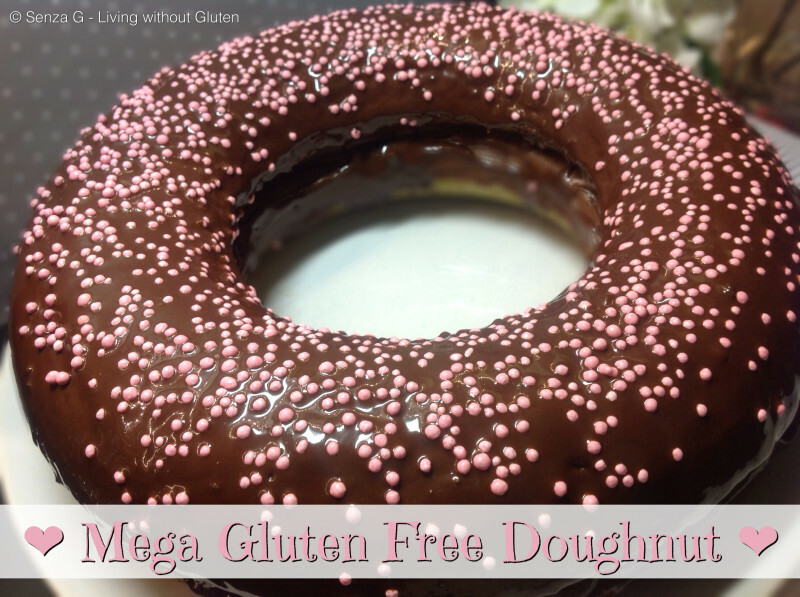 If you wish, you can also use a specific doughnut pan and make single normal sized ones. An easy way to fill the holes is to put the batter in a freezer ziplock bag. Just snip a small corner and use ‘piping bag’ style to fill each doughnut hole.